The Rebel Sweetheart. : Lee Min Ho Live in Manila! Again! Hold your undies, ladies! Your favorite flower boy (and I say your - because my favorite is Kim Hyun Joong, lol) is coming back to Manila for a solo concert! Oh yes, you read it right - concert. Dubbed as 'My Everything', this one-night only event will be held on July 6, 2013 at the Mall of Asia Arena. 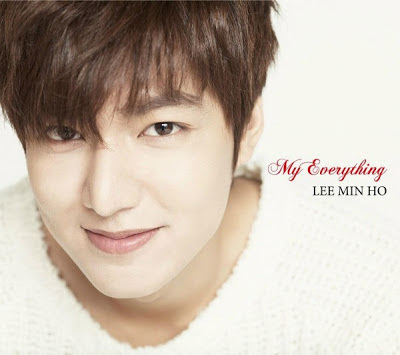 This concert is part of Lee Min Ho's promotional tour of his forthcoming album titled 'My Everything'. The said album is scheduled for release on May 22, 2013. Ticket prices will be announced soon. Follow Wilbros Live for more updates! Just shows how big his following here is and also how he enjoyed his stay here which makes him come back.